Not too long ago, I was asked what I thought was the biggest issue facing business owners in the green industry. I found that an easy question to answer. I said “Uncertainty. Uncertainty in economic outlook, tax rates, immigration policy, healthcare reform, etc.” I was asked that question before the elections. Naively, many people thought that uncertainty would be greatly diminished after the election. That just hasn’t been the case as now the pre-election general uncertainty has been replaced by fear of the “fiscal cliff” and sadly, we STILL don’t know what tax rates are going to be in January. The remarkable thing I have observed is that while uncertainty continues to reign and has certainly contributed to a high level of frustration among small business owners, most business owners I know are just anxious to move on making good decisioins and building their businesses. The purpose of exit planning is to increase the probability that business owners will be able to achieve their personal objectives in exiting their businesses, on their own terms and timetable. Without an exit planning process, most business owners will not be able to do so. Here are the seven basic steps in exit planning. 1. Understand your own objectives and your own financial situation. 2. Understand the value of your business. 3. Develop a plan to improve the value of your business. 4. Develop a plan to preserve the value of your business. 5. Develop a plan to unlock the value of your business. 6. Update the plan regularly. 7. Execute the plan – on your own terms on your timetable. Some business owners may be able to create their exit plan themselves. Others will be able to use their regular business advisors, including accountants and attorneys. Still others will be best served by working with an exit planning specialist. What is the hardest step in exit planning? It is usually number one and number two – understanding your own objectives, your own financial situation and value of your business. When is the right time to start thinking about exit planning? That one is easy. The answer is NOW, at least if you want to increase the probability of number seven, being able to exit your business on your own terms on your own timetable. Ruppert Landscape has acquired The Watchman Group, based in Kensington, Md. The company specializes in project management and site development and is focused on sports field and golf course development; including building structures, site infrastructure and wastewater treatment facilities. Massey Services of Orlando, Florida, has acquired GreenFrog Services, a pest management company headquartered in Jacksonville Beach, Fla.
Sarasota, Florida-based Arrow Environmental Services has acquired Can Eliminate Pest Control of Fort Myers. Can Eliminate specializes in providing residential and commercial service throughout the Fort Myers area. Arrow Environmental has completed eight acquisitions in the past five months. Editor’s Note: We try to include as many transactions in this column as possible, but some slip by us all the time. If you know of a transaction we’ve missed or you’ve been involved in one you would like us to cover, please send us an email and we will try to include it. If you are interested in learning more, please email us or call Ron Edmonds at 901-351-1510.  The October issue of Landscape Management features LM’s Business Planner 2013, which includes 21 “How to” articles, including one on “How to Prepare Your Business for Sale” (pages 78-81), written by Ron Edmonds of The Principium Group. There are a number of other interesting articles, including “How to Overcome Exit Planning Myths” and “How to Build a Company That Runs Itself” (by Jeffrey Scott). In addition, Ron Edmonds is quoted extensively in an article by Beth Geraci entitled, “Playing their cards right”, (pages S21-S 2 ), which analyzes merger & acquisition trends in the green industry.